The PLAY:1’s custom-designed 3.5” mid-woofer and tweeter, each with a dedicated amplifier, deliver rich, powerful sound, with crystal clear highs and deep, rolling lows for pitch-perfect HiFi music. Play everything including iTunes, Napster and Spotify. Control wirelessly from almost any source with a simple and secure set up. 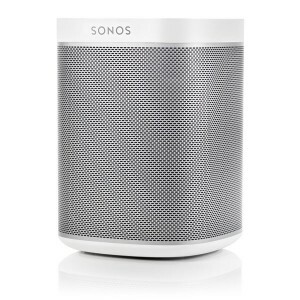 For more information download the Sonos PLAY:1 data sheet. 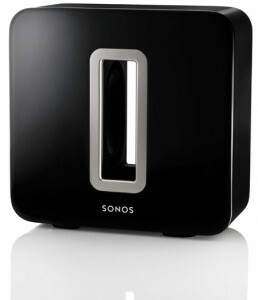 PLAY:1 Reserve your product now and get a free Sonos bridge. Product will be available from 29th October 2013. 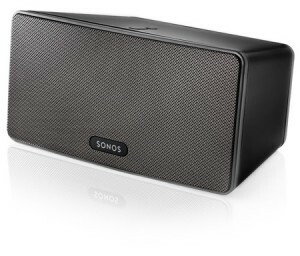 All the joy of a Sonos PLAY:5 but with three speakers instead of five. A smaller, sexier, tuck-in-the-corner and blow-the-roof-off, all-in-one player. Sonos PLAY:3 is available in black or white. The Sonos PLAY:5 is an all-in-one wireless music system that delivers superior sound, unlimited music, and endless enjoyment. Plus, you can control it all with your iPhone®, iPod touch® or iPad™ using the free Sonos Controller app. Now music lovers can find and play any song from their iTunes® library and the Internet—in any or every room. The PLAY:5’s all-digital sound architecture includes 5 speakers powered by 5 dedicated digital amplifiers for crystal-clear, room-filling sound. Setup couldn’t be easier – simply plug it in wherever you want music. To play more music in more rooms, just add other Sonos ZonePlayers wirelessly. The PLAY:5 is available in both black and white. 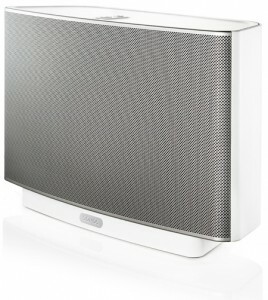 Beautifully designed and seamlessly integrated with the Sonos system, Sonos Sub provides deep, clear, soul-shaking sound. Two force-cancelling speakers positioned face-to-face offer deep sound with zero cabinet buzz or rattle. Place it anywhere in the room—even lying flat under a couch. The Sonos PlayBar complements HD television screens with richly textured HiFi sound, wirelessly streaming all the music on Earth. PlayBar is easy to set up, control and expand, requiring just two cords: one power cord and one optical cord (both are included). PlayBar syncs with other Sonos speakers wirelessly and understands and works with most IR remotes. PlayBar can also be controlled by free apps with your Android, iPhone or iPad. It plays all sources plugged in to your HD TV: satellite boxes, Blu-Ray players, and video game consoles. If it’s connected to your HD TV, PlayBar will play it – and you will enjoy it! For further information please contact us.